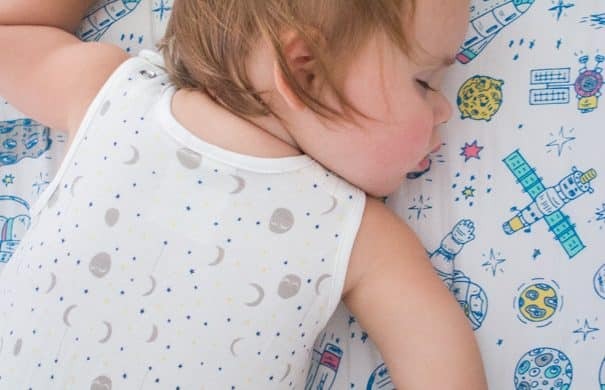 The Best Baby Sleeping Bag – From Sleep to Play! Let’s Make Parks and Playgrounds Organic! This Mocha Latte Moist Chocolate Cake is double the chocolate and extra moist. 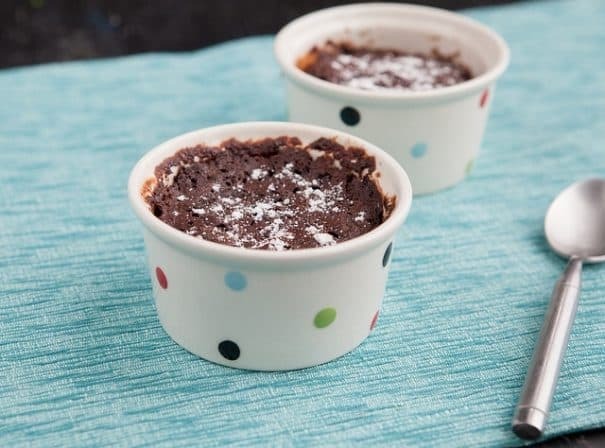 This easy to make coffee dessert recipe is covered with rich chocolate frosting! Do you dream of moist chocolate cake at night? Ok, me too. This Mocha Latte Moist Chocolate Cake with Chocolate Frosting is double the chocolate and extra moist. 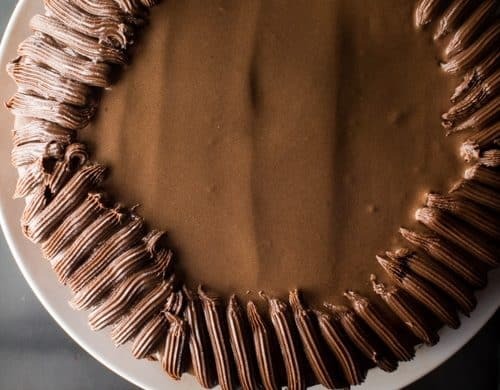 So if you aren’t dreaming of coffee desserts with some chocolate frosting on top, you will be now! I don’t make cake very often but when I do I like to go the rich route. The more chocolate, the better. 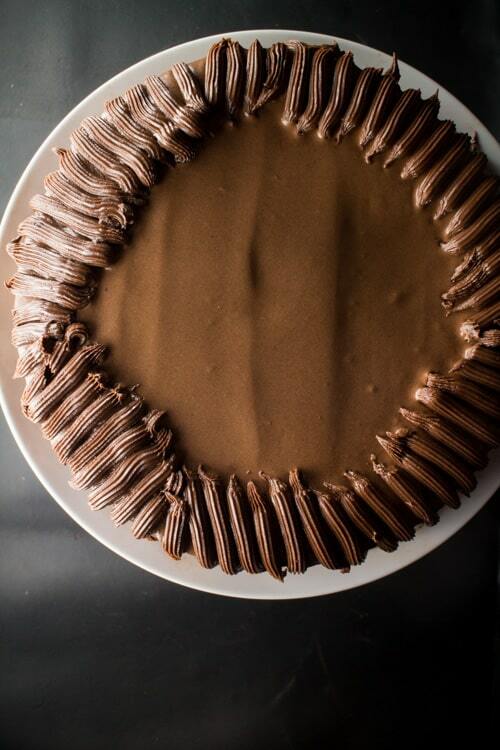 This cake here is made up of moist chocolate cake with chocolate frosting. It’s a double decker of chocolate love and I hope you’ll be searching for more coffee desserts after trying my moist chocolate cake. 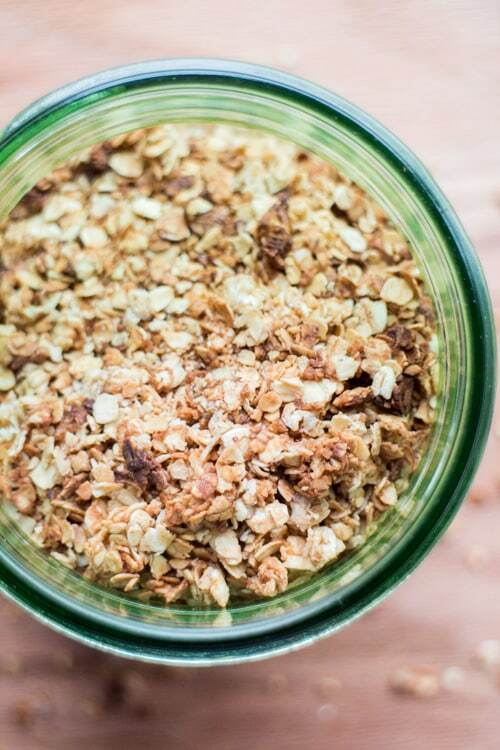 Easy step by step recipe instructions on how to make Stovetop Cinnamon Vanilla Granola! 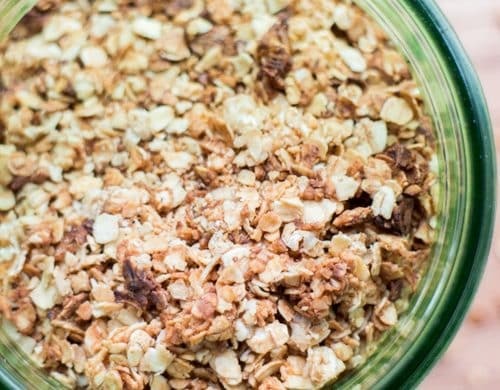 Once you realize how easy this stovetop healthy homemade granola recipe is to make, you’ll never buy any low carb cereal in the store again! 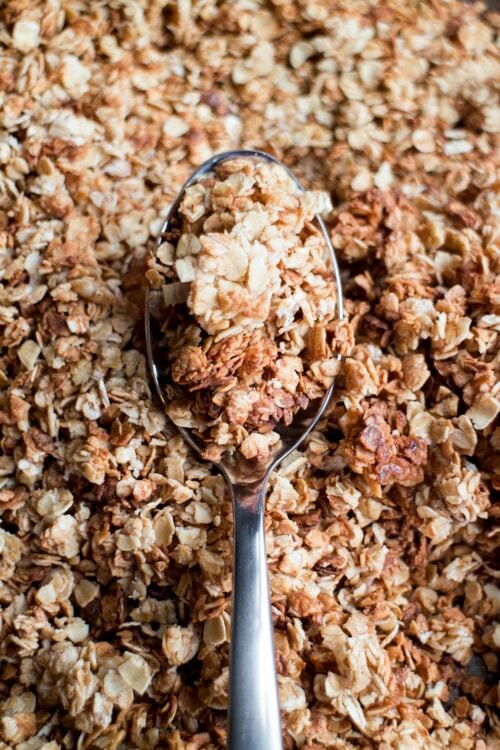 Do you love granola or granola bars? I know a boy who does. It’s my other half, Matthew. He loves it. Last week Matthew became obsessed with granola again. He goes through these spells of loving it. There was a time last year where he was ready to have his midnight snack in bed and he realized he was out of granola. What did he do? Did he pick to eat something else? No, he got on his bicycle and ran to the grocery store at midnight to buy more granola! So yesterday we ran out of granola again. I went to the grocery store and I couldn’t get over the prices of it. Can someone explain why granola is so expensive? Seriously, $8 for 10 ounces? That’s crazy! So after I got over (or didn’t get over) my sticker shock, I decided to head back to my kitchen and make my own healthy homemade granola. The benefits of making your own granola are that it’s much cheaper, you control the ingredients and you get to throw on your kitchen apron. Enjoy the peanut butter blossoms TJ! 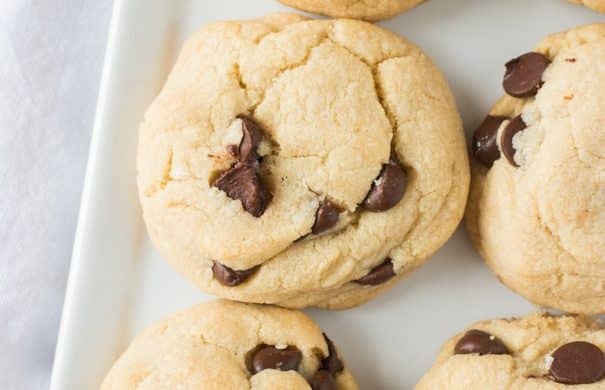 They're one of my favorite cookies, I can't get enough of them! 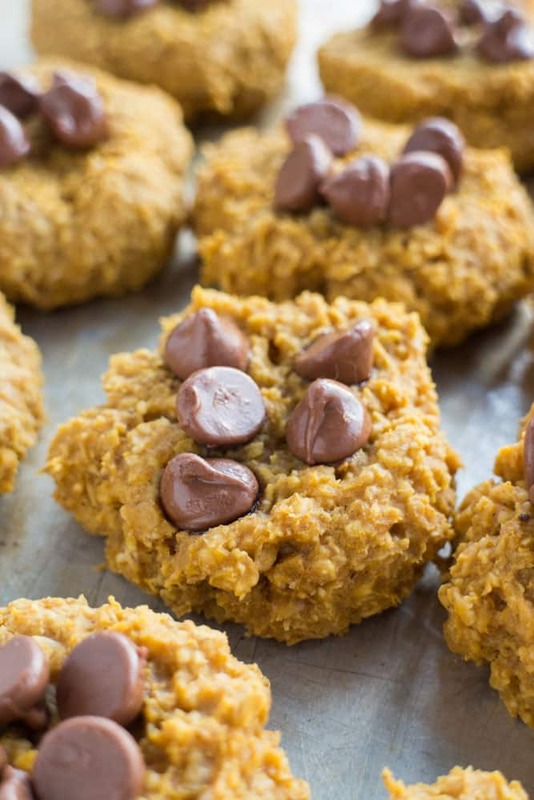 This is the best Peanut Butter Blossoms recipe ever! 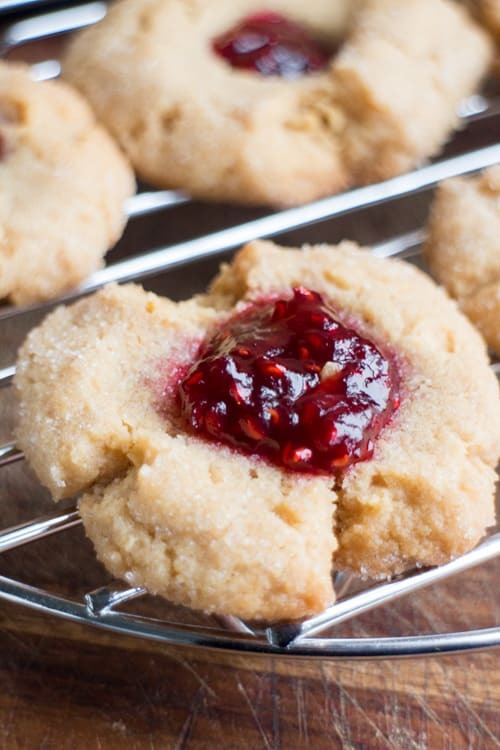 These butter cookies make for beautiful holiday thumbprint cookies! Your entire family is going to love them for the holiday season! These cookies were here and then they weren’t. In my belly. Real quick. 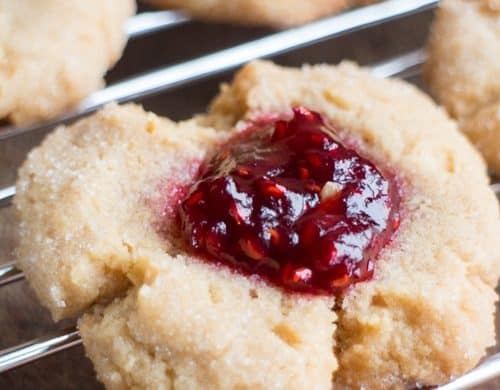 These cookies are a combo of my favorite cookies: Peanut Butter Blossoms and Thumbprint Cookies! 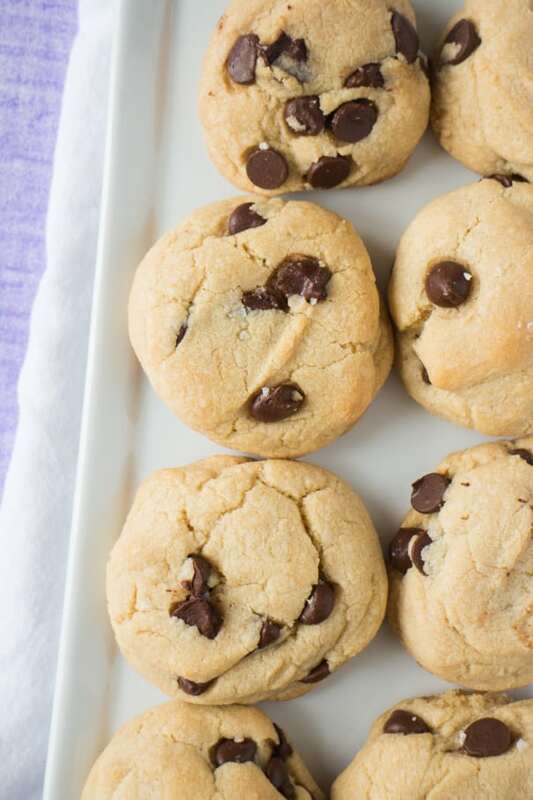 Who says you can’t have 2 of your favorite cookies in 1? These peanut butter blossoms are major yum. They’re moist, but they still have a slight crunch to sink your teeth into. The peanut butter flavor adds a creaminess while the delicious raspberry jam on top adds a sweetness. 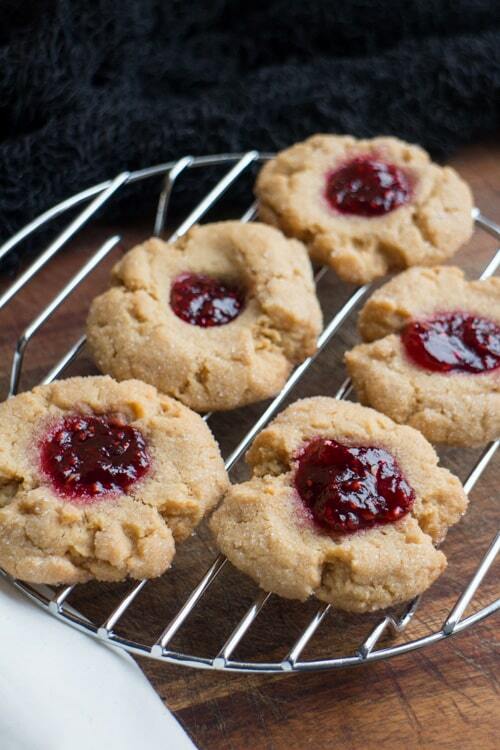 Creamy, Sweet, Slightly Crunchy – are you wanting a thumbprint cookie yet? 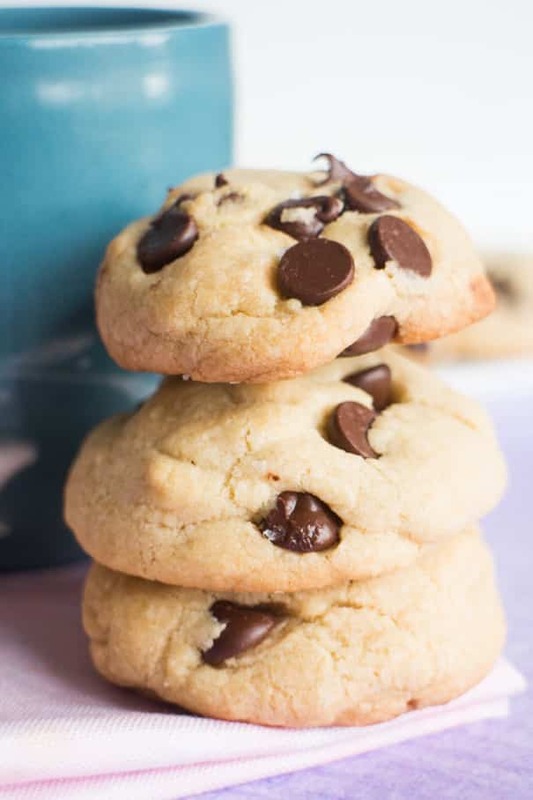 When I made these cookies last week, I had no idea that I was going to be this addicted to these cookies. At one point, I told Matthew to hide them from me. But before he did it I put all the cookies in my hands and ran away. Please, don’t take away my cookies. 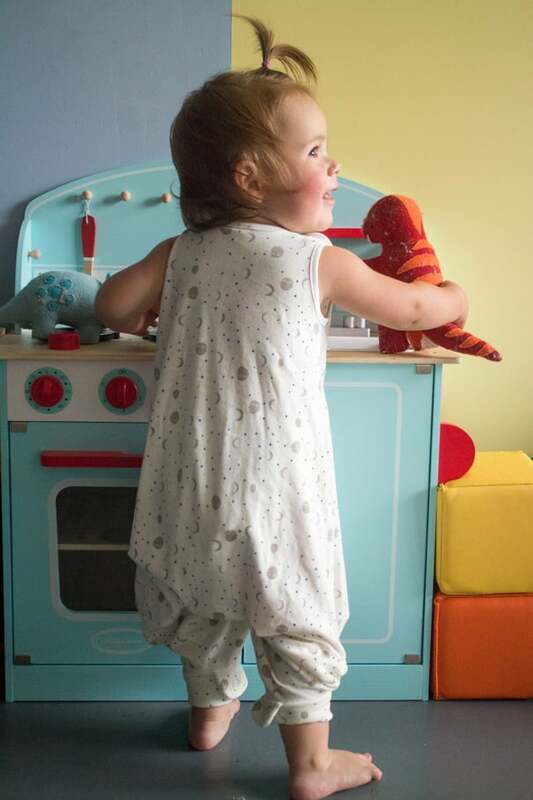 I am OBSESSED with this Baby Sleeping Bag that goes from sleep to play! It’s so smart and easy! 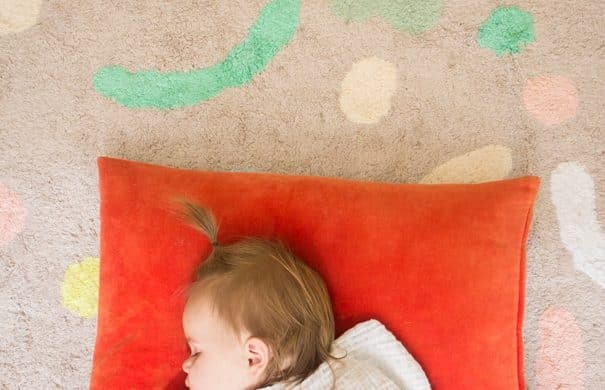 This is a must have for babies and toddlers! 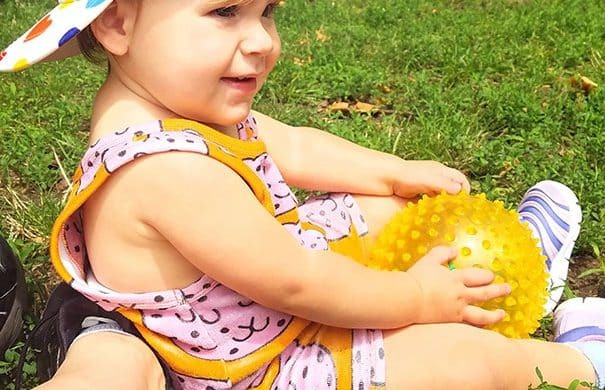 This is a sponsored post written by me on behalf of Ergobaby. Hi! I’m back with another favorite baby product to share! This is one of my favorite fall products that I’m going to continue to love through winter and I think you are going to love it too! 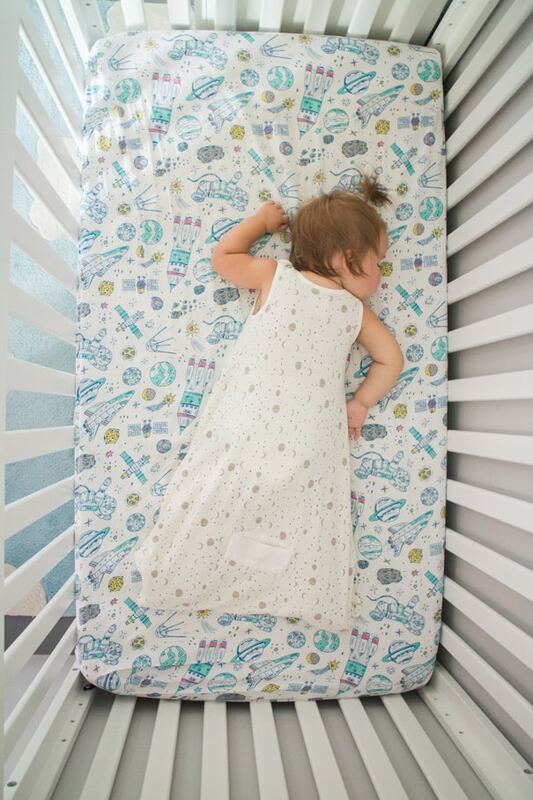 Let me show you why this Ergobaby On-The-Move Sleeping Bag is the best. It can basically be summarized in 2 photos. Yes, that’s right! It goes from sleep to play, which means Enceladus can go from sleeping in her sleeping bag, to immediate playing when she wakes up! I love it! 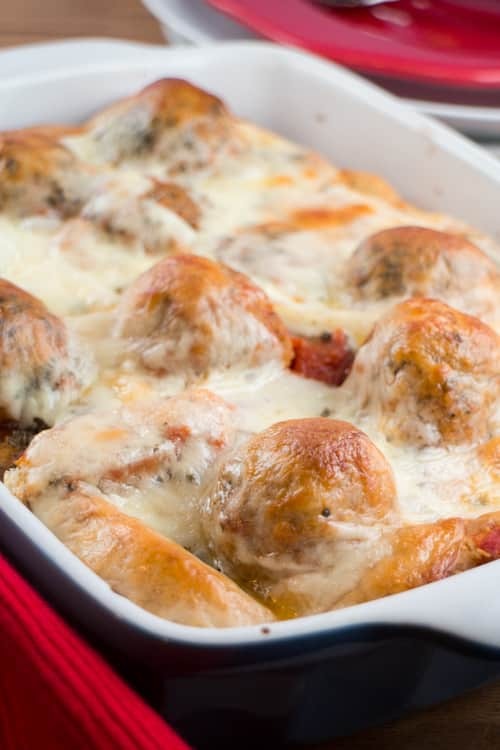 This Cheesy Meatball Texas Toast Casserole takes less than 30 minutes to create. 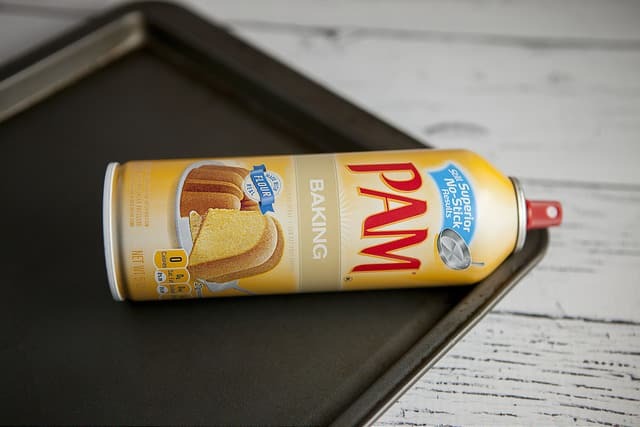 With just 4 ingredients and one pan, it isn’t a regular family favorite on our table but this is my cheat meal when it comes to easy dinner recipes. The best part is everyone wants a second helping! After a hard day at the office or running after kids, creating a meal is often the last thing we want to do. That’s when we need easy dinner recipes. And this is one tops my list. 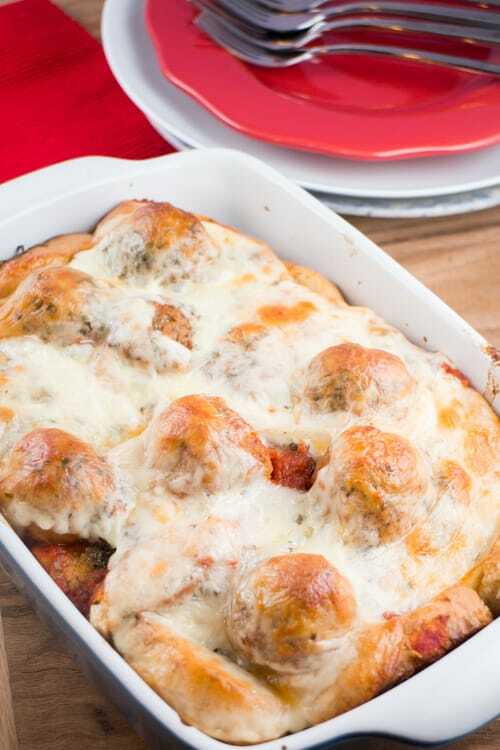 You can create this Cheesy Meatball Texas Toast Casserole in less than 30 minutes. And it doesn’t require any prep time, cutting veggies or marinating the chicken. If you’re short on time, opt for frozen meatballs. I often call this recipe by leftover meatball casserole. 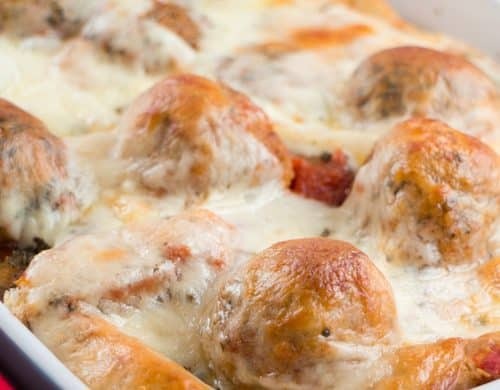 If there’s any leftover meatball from previous dinners, I freeze them, especially for this recipe. These meatballs are delicious. D-E-L-I-C-I-O-U-S.
What else is delicious? Texas toast. 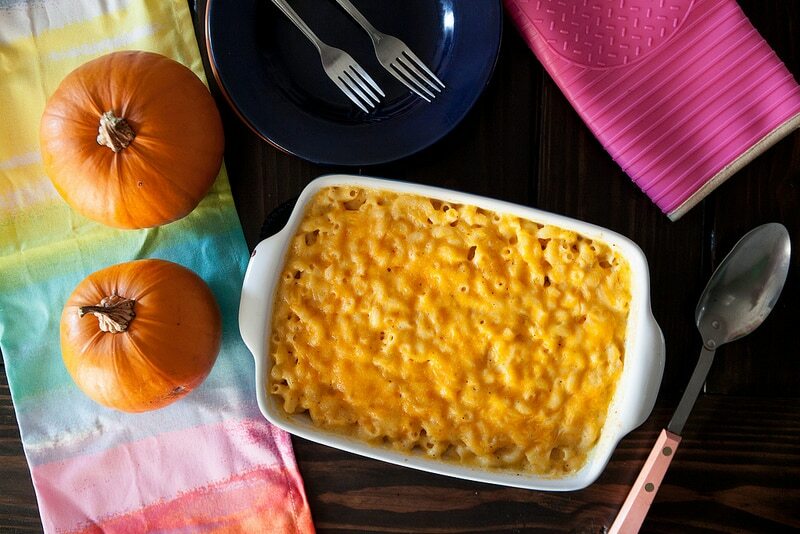 What if you add them all together for a quick easy weeknight casserole? You’ll love it! Start with your meatballs. I used pre-cooked meatballs for this Cheesy Meatball Texas Toast Casserole. Cook them as per your box instruction. As your meatballs is cooking, start making your Texas Toast (homemade or bought in a box!. HOW TO STORE CILANTRO to make it last for weeks! 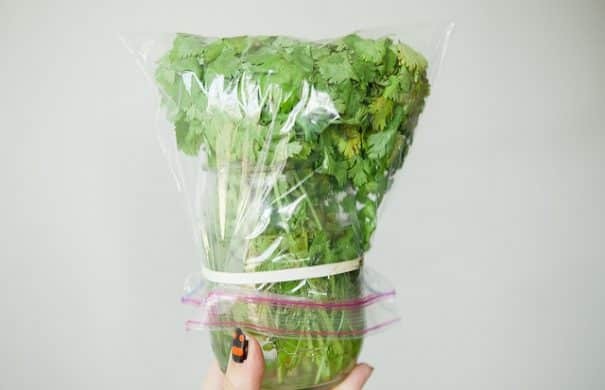 This easy trick shows how to keep cilantro fresh in water in your refrigerator to last for 3 weeks! It’s the perfect way to store cilantro for a long time! I’m back with another tip to help your vegetables last longer! Remember how I shared my tip on how to store lettuce to keep it fresh for a month? Or how about the best ways to store bananas? Well this trick will keep your cilantro fresh for weeks! Cilantro – are you one of those people that love it or hate it? I love it! But my issue with cilantro is that it never seems to last long enough to use it all. Often recipes only call for a small amount of cilantro, and it’s hard to find things to do with a whole bunch of it! 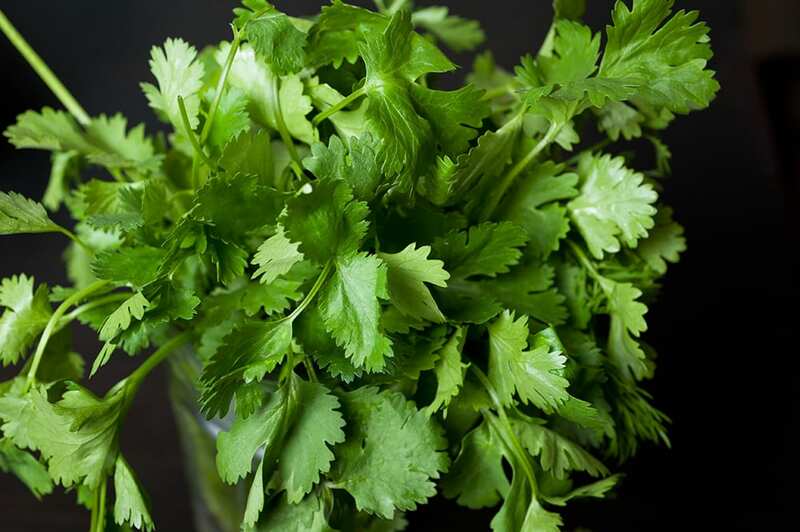 With this tip you’ll no longer have to let your cilantro go to waste! You guys know I don’t like to waste anything we grow. I’ve showed you how to make tomato powder out of tomato skins, and how to make mint tea, but now I wanted to show you my trick on how to how to store cilantro to make it last longer! 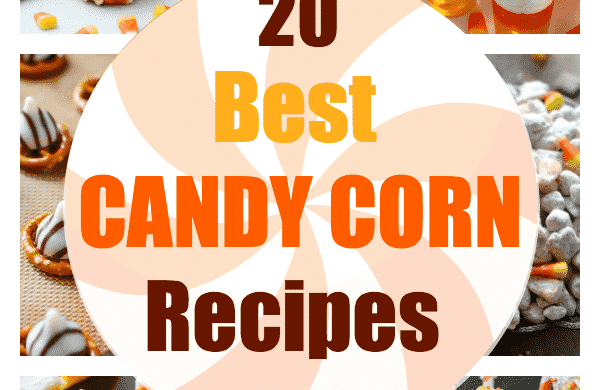 20 Best LEFTOVER Candy Corn Recipes! 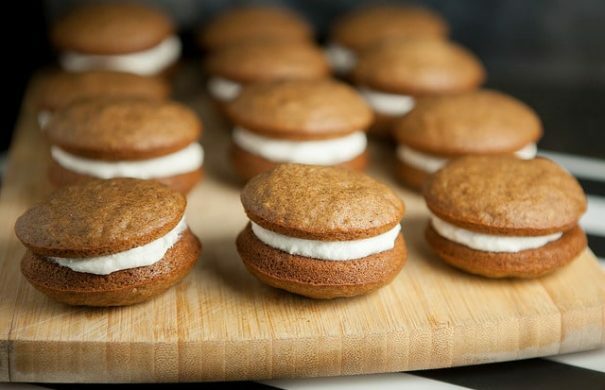 Every Halloween we’re stuck with leftover candy corn, so here are delicious recipes to use it up! From candy corn cookies, cakes, popcorn balls and snack mix – learn how to create some amazing, delicious, and even healthier, fall season candy corn treats. Do you have leftover candy corn? Of course you do – that’s why you’re here! Well I got some great recipes for you! There’s no denying that candy corn is a tasty treat on its own, but add it to some cookies or brownies, or even create a beverage that’s inspired by this classic Halloween candy? 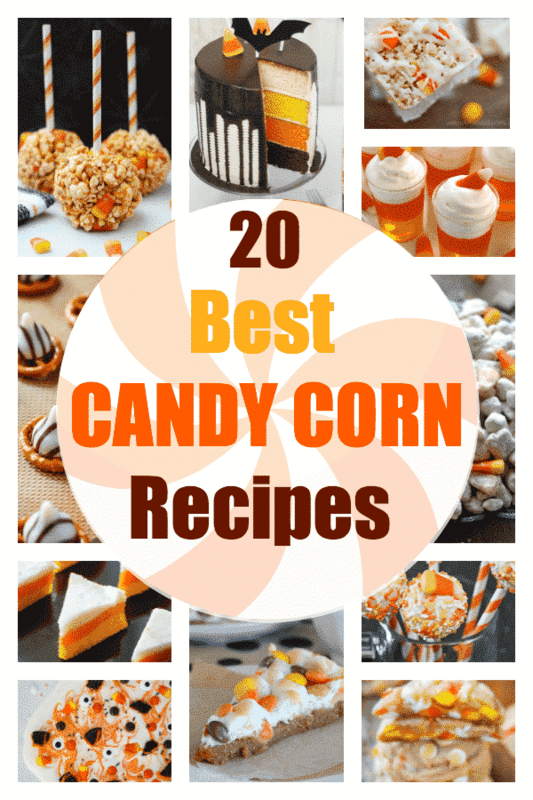 Well, that’s innovation at its finest and we’ve got 20 of the best candy corn recipes to offer up as proof. What can I do with leftover candy corn? From waffles to pretzels, from drinks to jellos, from cakes to bites and bars, we’ve got the candy corn recipe extravaganza covered. Go beyond the orange, yellow and white tiny triangle confection and learn how to create some amazing, delicious, and even healthier, fall season candy corn treats. DELICIOUS easy to make Jalapeno Buttermilk Biscuits recipe! Recipe includes step by step pictures! 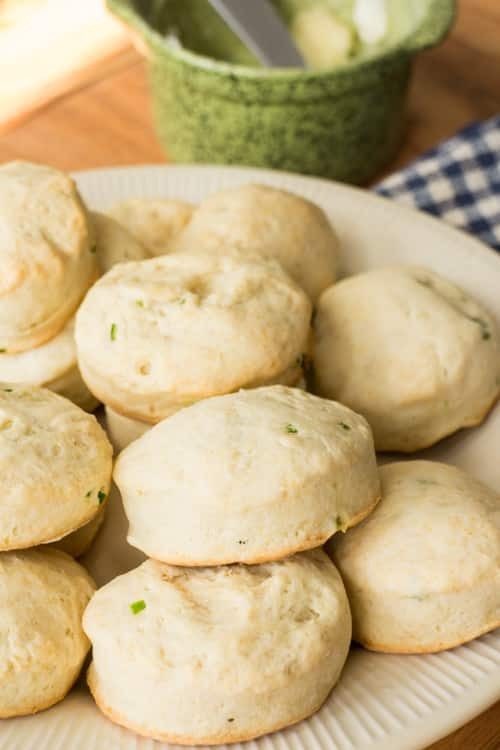 These Southern style homemade biscuits are made from scratch with diced up jalapeno peppers. 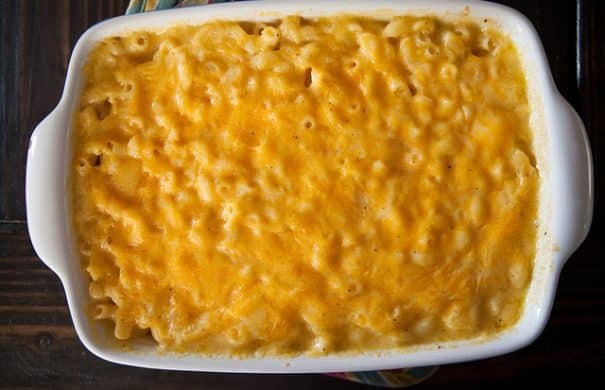 They are best served with a warm comfort food casserole! Want to know a true story? I made these buttermilk biscuits twice. In one week. I nearly ate them all. I’m thinking about making them again. Right now. These buttermilk biscuits are what magical bread dreams (we all have them, right?) are about. 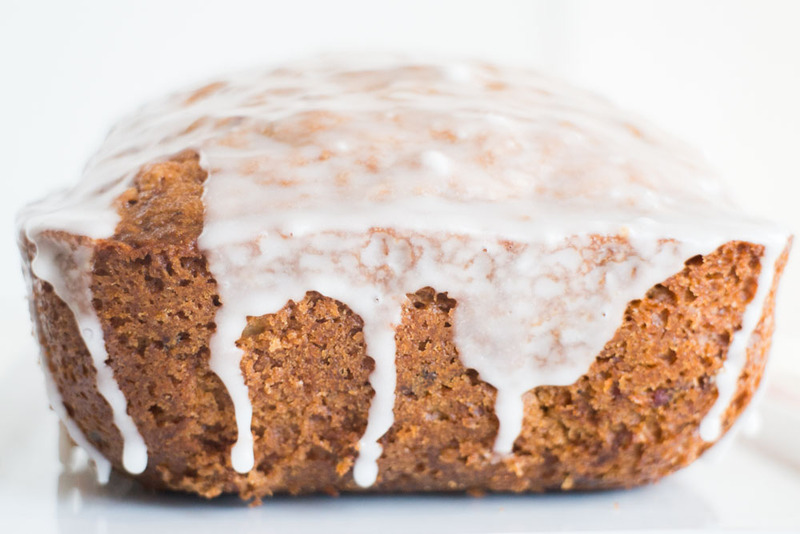 They’re flaky, they’re moist, they’re full of flavor and you just can’t get enough of them. 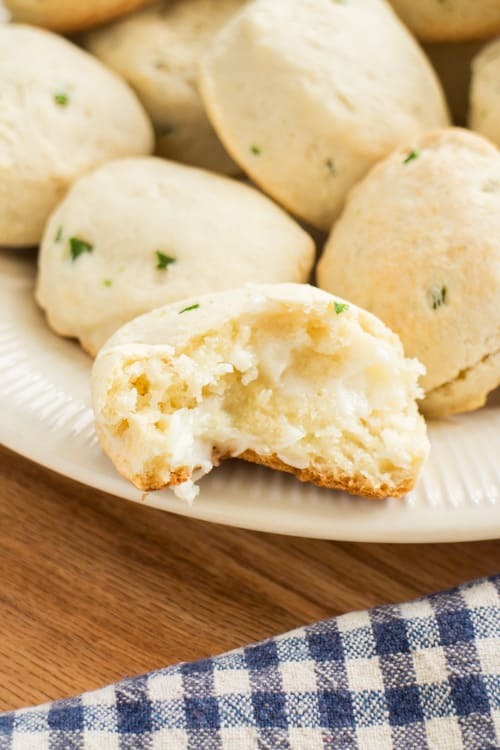 More specifically these are buttermilk biscuits which makes them ultra deluxe and ultra moist. Like my gif shows, buttermilk makes everything better, don’t you agree? 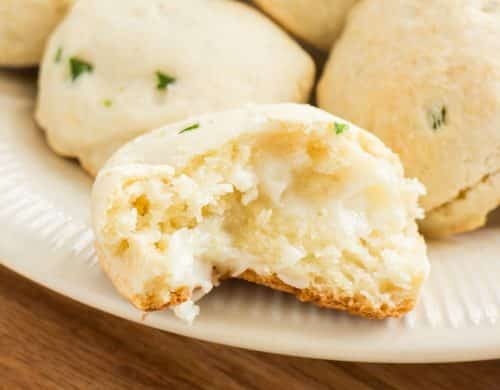 These biscuits also have jalapeno peppers in it for a slight bite of heat. The jalapenos are a great balance for that buttermilk giving it a little something special. I chop the jalapenos up pretty fine so they’re evenly distributed and not overwhelming. Between these biscuits and candied jalapenos I’m eating quite a bunch of jalapenos this Summer! 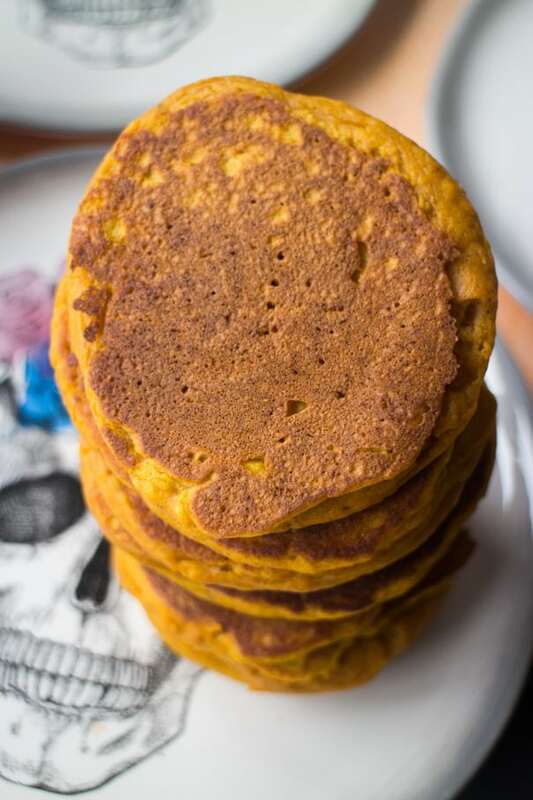 Pumpkin Baby Pancakes Recipe for babies, toddlers and parents! 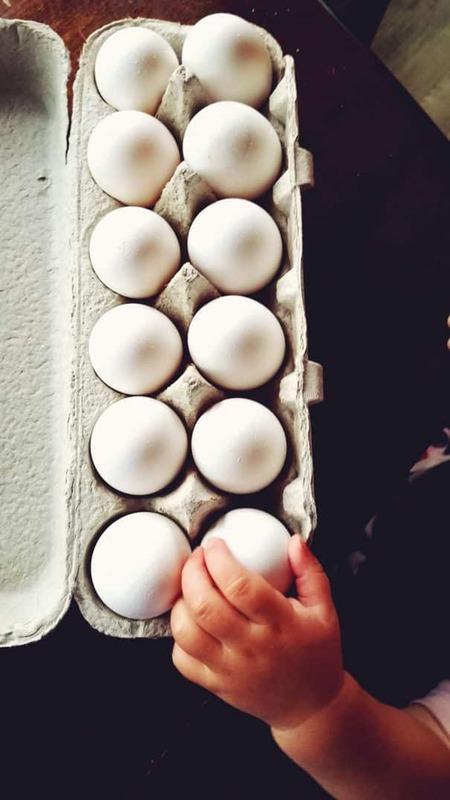 This easy pancake recipe is great for baby led weaning for first foods! 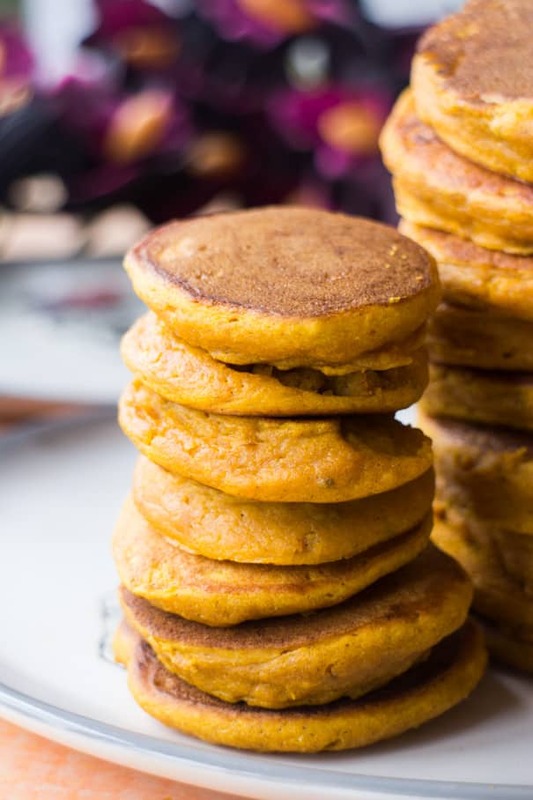 These pumpkin pancakes are healthy and nutritious! 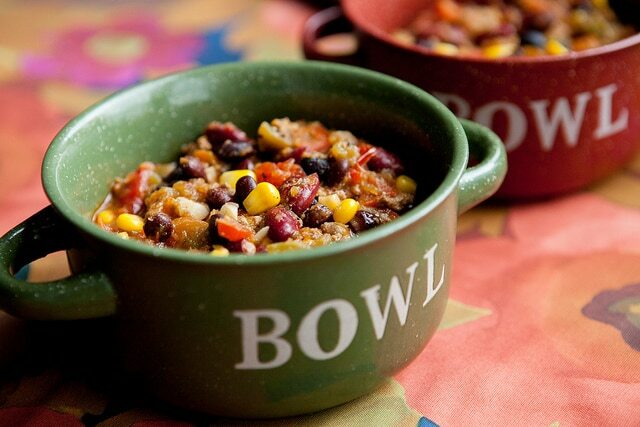 Serve for breakfast or dinner – freeze leftovers for busy mornings or daycare! 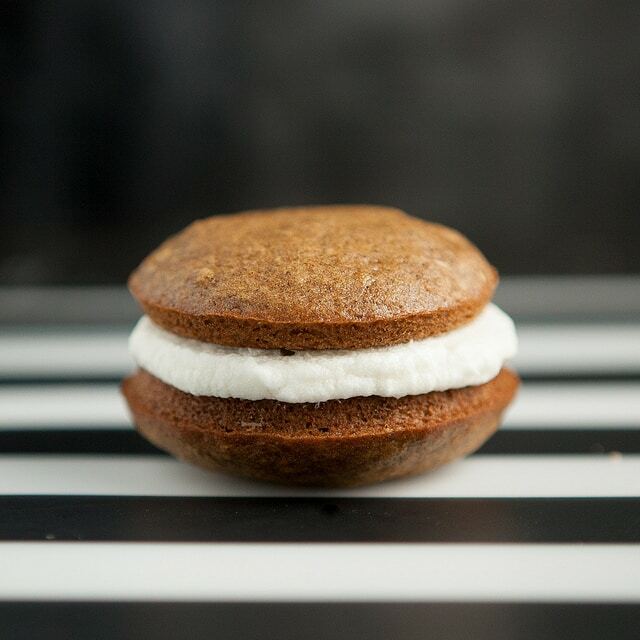 It’s September… so it’s officially pumpkin season! I mean ok, it’s 95 degrees here, but let’s pretend it feels like Fall, ok? 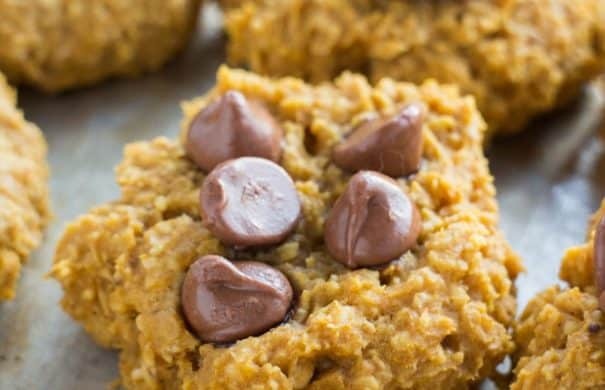 Because I look forward to pumpkin recipes so much, I wanted to be able to make my baby a pumpkin recipe – perfect for those chubby little fingers of hers! 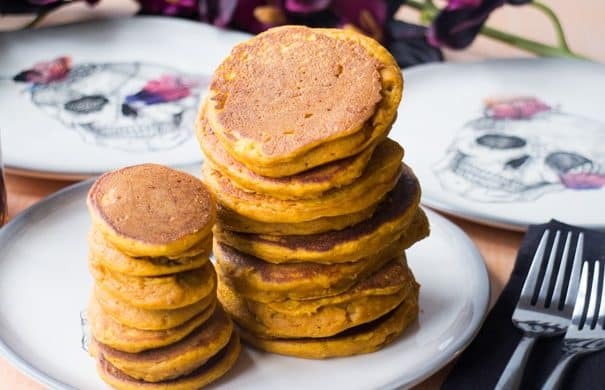 So many of you loved my baby led weaning cookies and baby led weaning muffins so I figured it was time to share the baby pancakes Enceladus is currently loving – Pumpkin Pancakes! A short answer to a possible very long answer is that baby led weaning (or BLW as the Moms on the playground call it!) encourages your baby to feed themselves instead of eating purees from a spoon. We started Enceladus very early with baby led weaning, and there were some learning curves in the beginning (totally normal) but I really feel that feeding herself has not only made her more independent, but also more open to tasting EVERYTHING. Seriously, there’s no food she won’t try. Put a food in front of her and watch her eat it! Plus now she loves cooking with Mama in the kitchen…. even though it gets dangerous sometimes! EASY Crockpot Pumpkin Chili recipe. This easy slow cooker dinner is healthy made with ground turkey, beans, vegetables and Mexican spices! Add shredded cheddar cheese on top! You can freeze leftovers for your family! In this Crockpot Pumpkin Chili recipe we have the usual Chili ingredients, but then we’re throwing in pumpkin because whenever you can you should throw pumpkin into any dish. 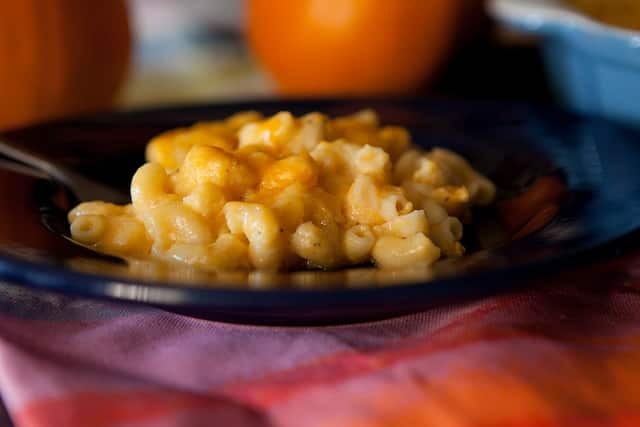 Here’s the great thing about pumpkin, it’s full of great nutrients but hardly changes the taste of meals. It’s an amazing way to make your dinner or pumpkin brownies more healthy and better for you. Who doesn’t want that? Now I know what you might be thinking.. usually “Mexican” and “Pumpkin” don’t usually go together, but in this recipe they are best friends. They are holding hands, whispering secrets (not about you), planning adventures – they are great pals. What I’m saying is that you’re going to love this Crockpot Pumpkin Chili! 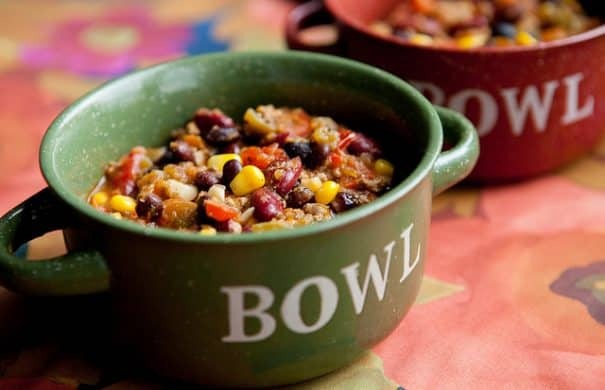 It’s one of our favorite Fall Slow Cooker Meals! 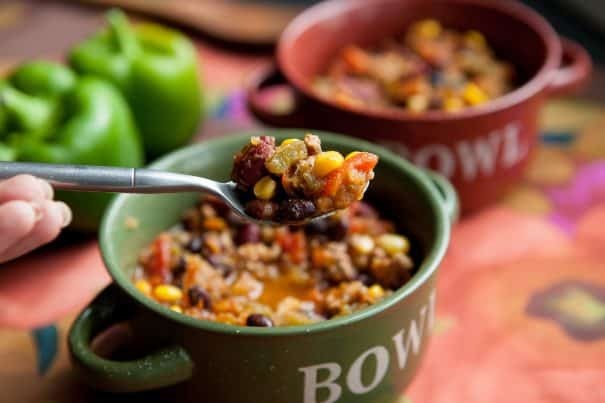 This pumpkin chili recipe is so easy to make and only takes 5 hours in your slow cooker! First you’ll want to brown the ground turkey in a pan with the peppers before throwing it in the crockpot. After that, throw all your other ingredients inside! I love beans in my chili so I had to add both black beans and kidney beans. Also I love using ground turkey for chili as a healthy alternative to ground beef. So what makes this Chili Mexican? Well we’re going to spice it up with green chiles, salsa verde, cumin and we’re going to throw corn into this! If you want you can even throw avocado, shredded cheddar cheese and sour cream on top when it’s done! Let’s make our parks and playing fields organic! Learn more to make change locally to protect our children from pesticides! This is a sponsored post written by me on behalf of Stonyfield® FIELDS Initiative. Rain or shine, we have a weekend event. It involves 2 parents, 1 baby, a swing set and a box of chalk. Do you know what time it is? It’s playground time! Since Enceladus took her first swing on a swing set (in January!) she’s fallen in love with the playground at our local park. Now many months later, if we stroll by a playground, she immediately starts kicking her legs and pointing to it. Looks like it’s time for a pit stop! Living in NYC, you work with what you have in regards to play spaces outside. 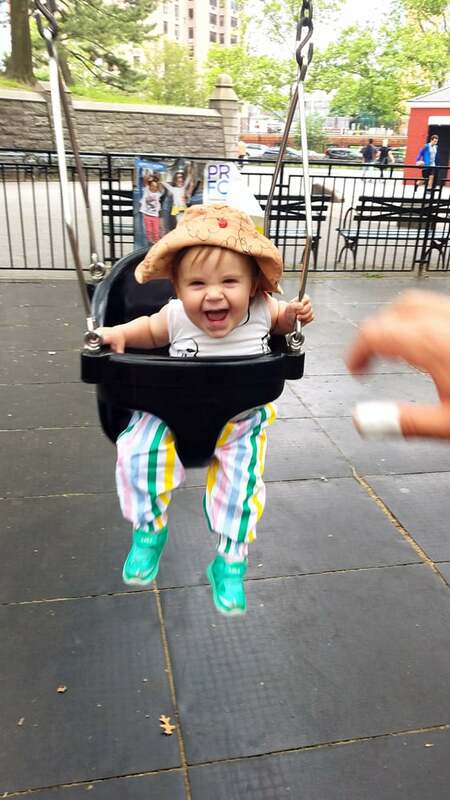 We have beautiful parks (Fort Greene and Prospect Park are our favorites! ), but we also have wonderful neighborhood playgrounds. Not only is it a place for little ones to run around and be kids, but it’s also a great place to meet your neighbors! 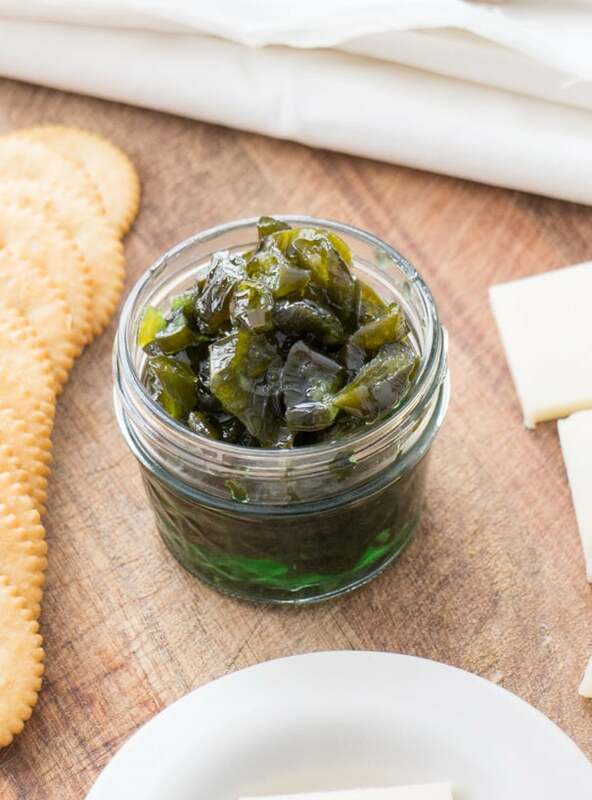 EASY 3 INGREDIENT Candied Jalapenos recipe! 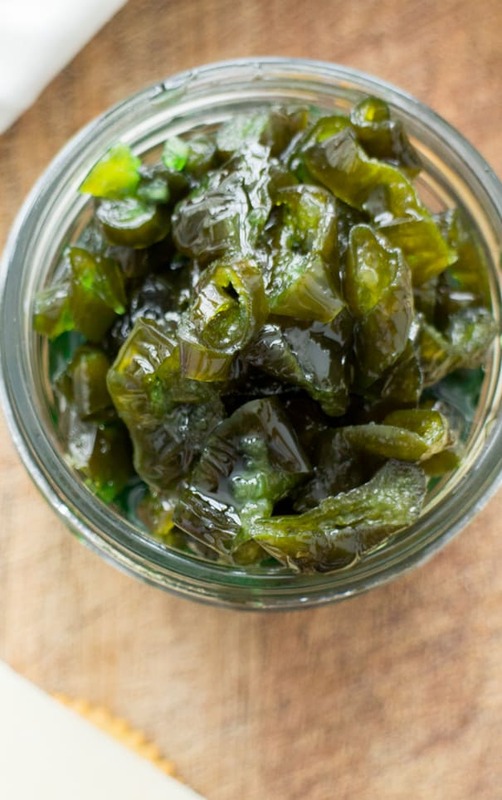 You only need jalapenos, sugar and water to make refrigerator candied jalapenos! Use these as a appetizer dip, on top of crackers or in dinner dishes! Store in refrigerator or use for canning! 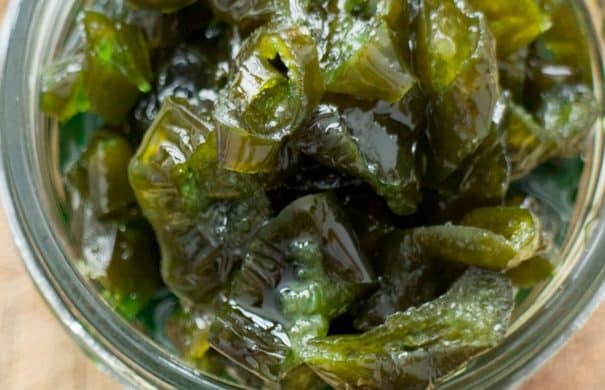 These 3 Ingredient Candied Jalapenos. Oh goodness gracious. Don’t ask me how many I ate over the past few days. Ok, don’t ask me. Seriously don’t. Ok I might have eaten a entire jar already and made another today. I said don’t ask me! Honestly, I have no self control with these. Some people refer to Candied Jalapenos as Cowboy Candy because of how addictive they are to eat! They’re sugary just like candy, but also spicy due to the jalapenos. They’re sweet. They’re spicy. They’re just right. 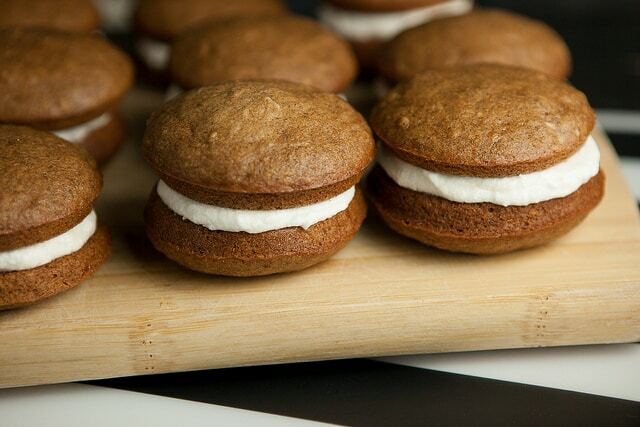 They are the perfect combo of sweetness with a kick. They are amazing on crackers with a little piece of cheddar cheese. The cheese balances out the heat with a little coolness. They’re also perfect chopped up and thrown in hamburger meat for the perfect homemade hamburger. Try them on top of tacos or nachos too! Oh and they are just the most delicious on top of some pulled pork. 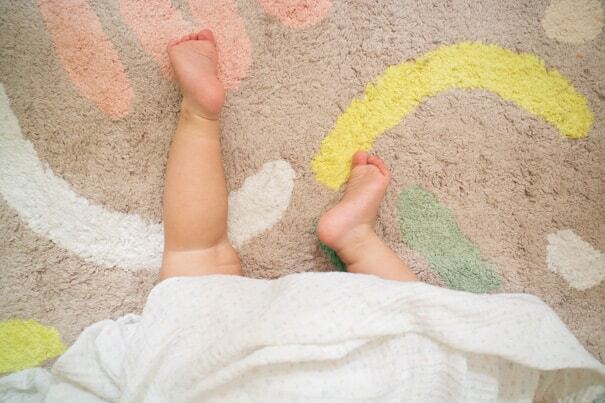 Support and laughter for parents who have babies and toddlers that only take short naps. This is a first hand experience on how I dealt with it. Or maybe I should say close to sleeping baby, because first you need your bottle of milk. Milk always makes you tired. 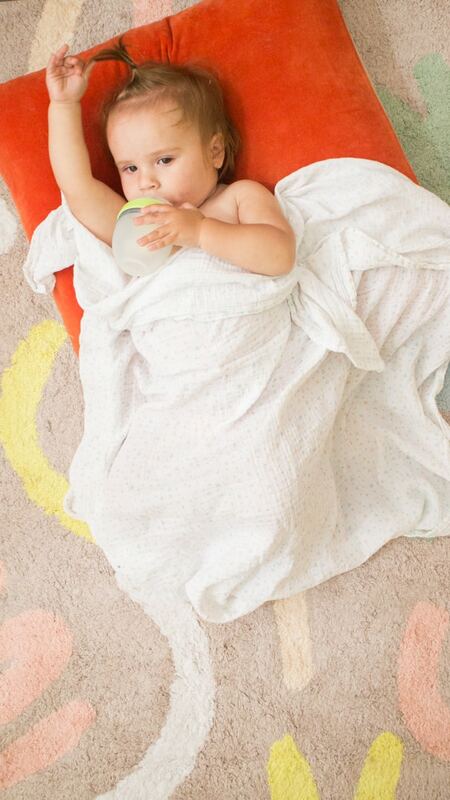 Sometimes milk will make you fall asleep. But usually, even though you’re exhausted, you will fight me for every single nap. Ok, now you’re asleep. It’s time for Mom to work. I will do some house work. I will answer some work emails. I will treat myself to a hot lunch in the kitchen. 100 CALORIE Brownie is a healthy single serving brownie recipe! 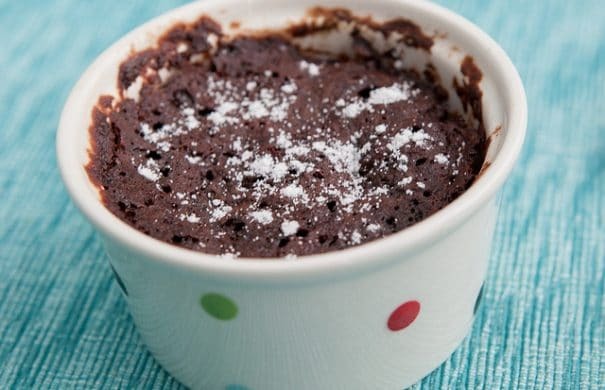 This easy microwave recipe makes a fudgy chocolate brownie for one! These low calorie brownies are perfect for satisfying a sweet tooth! I’m obsessed with this 100 Calorie Single Serving Brownie! If you’re like me then when you make brownies, it’s a batch. There’s 2 of us who live here and the cats can’t eat chocolate, so what do I have to do? Ok, I have to eat them all. Remember these black bean brownies? Yeah, I would eat them all if they were nearby! I mean if not, they go bad and we wouldn’t want that. I mean, ok, I could share with friends, but I could also not share with friends and just eat them all myself. This is great, but also very bad. So what do you do when you want a brownie but you don’t want to make a entire batch to prevent the guilt? You make single serving 100 calorie brownies! You microwave them and they’re done in a minute. 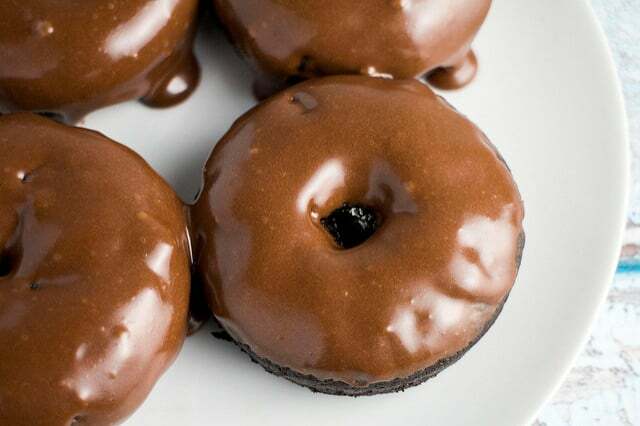 These will hit your chocolate craving without the guilt – isn’t that the best? They are really good. Last winter these were our post dinner, dessert favorites. 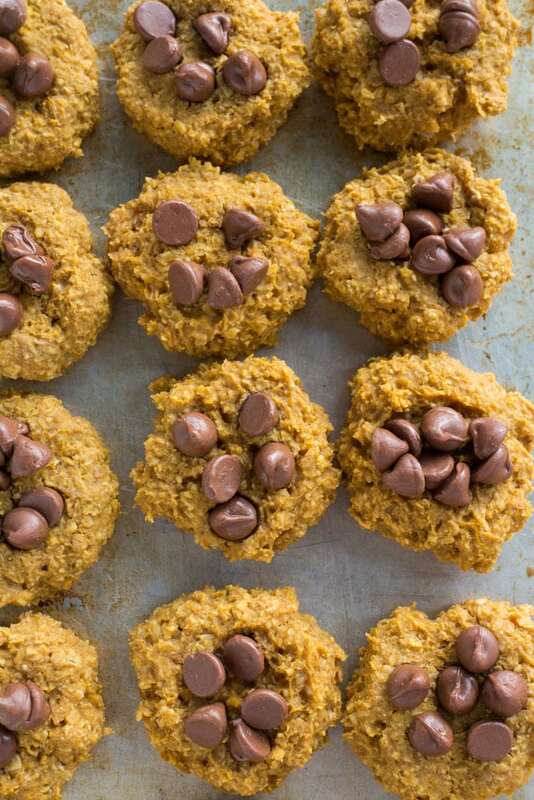 These are made with applesauce, no oil. I recommend my home applesauce recipe here. Yum! 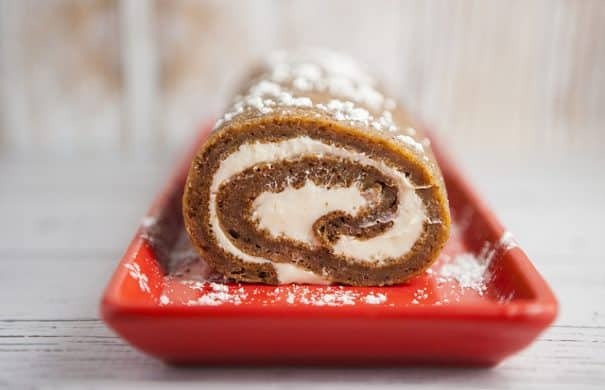 HOW TO make the BEST Pumpkin Roll With Cream Cheese Filling- my most requested Thanksgiving dessert! This delicious homemade Pumpkin Roll recipe is easy to make and walks you through the steps on how to make it. The roll is so moist and delicious! Includes how to make video! The first time I made a Pumpkin Roll years ago I was ecstatic. There was so much preparation and fear in the roll. For those who have made a roll I think you can all remember your first time, whether it was a success or a flop. I researched it profusely online watching rolling videos, looking at step by step blog posts, very intimidated by the rolling process. How was I supposed to roll the cake without cracking it? How was I supposed to add the cream? What is cheesecloth? And how was I supposed to get the cake out of the cookie sheet without having it stick at all losing big points in presentation and pretty factor (we all want a pretty roll). So I made the roll, I had it timed, I had my supplies ready and the first time – it was a success. My heart was racing during that very short time frame from getting the cake removed from the cookie sheet (hot!) almost immediately out of the oven, onto damp cheesecloth and roll it (hot!). After it was rolled, I let out a big sigh of relief. I might have even fell on the kitchen floor in victory. Actually that’s probably what I did, I am very dramatic when it comes to baking success. I’m just so darn happy. How to make a Pumpkin Roll from scratch!